The Several Journeys of Reemus, Chapter 4, The Beastly Blackhole of Bureaucracy is the latest installment in the Point’n’Click adventure series Journeys of Reemus created by Zeebarf. “Reemus and Liam land on the shores of the Kingdom of Danricus with high hopes of securing their heroic quest to stop the Death Slug invasion. Unfortunately they soon find themselves caught up in the bumbling bureaucratic process of The Danricus Department of Heroes. 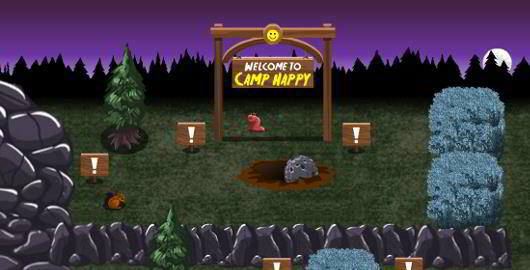 The Visitor: Massacre at camp happy is from the same creator that brought you, The Visitor, and The Visitor Returns! This one by ZeeBarf, has an arcade style to it. You still have all the blood and gore, but you move around with the arrow keys. To move to the next level you must devour the human. Not easy to do! The visitor can be killed in this version! 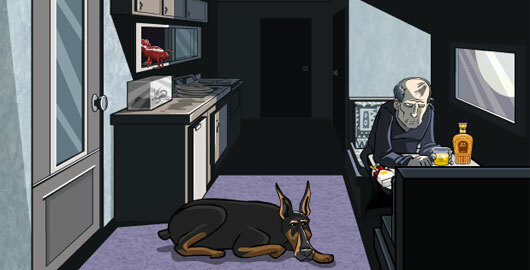 If you enjoyed The Visitor back in 2007, give a try to The Visitors Returns, the latest Point’n’Click adventure game created by Zeebarf. “Guide the alien death slug through 7 brand new scenarios, using everything in the environment to kill his prey and gain their powers. Warning: this game contains a lot of blood and gore and is not recommended for a young audience! Zee and the Alien Machine is the latest Point’n’Click adventure game created by Zeebarf and Steve Castro. “With a promotion at stake and a house full of co-workers, Zee must throw the party of the year in order to keep his career aspirations alive. Unfortunately his weird roommate’s mysterious alien machine threatens to derail everything. Will Zee overcome the deadly secret of the alien machine and save the party? Ugly Americans – Citizen Ugly is a new Point’n’Click adventure game created by Zeebarf (Small Favor, the Several Journeys of Reemus), and Steve Castro for Comedy Central. “Help the zombies, robots and vampires of New York keep their jobs and stay out of trouble.” Have fun! Ugly Americans – Citizen Ugly video walkthrough! Paradox Embrace is a nine level Puzzle Platformer from Zeebarf and Steve Castro. “Master the worlds of Nature, Technology and the Supernatural and discover the meaning of the Paradox! Watch out for roaming demons and mech bugs while you navigate the dynamic levels and uncover the purpose of the mysterious Changers. Use the arrow or AWSD keys to move, Up/W to jump and Down/S to use changers or lower the camera. 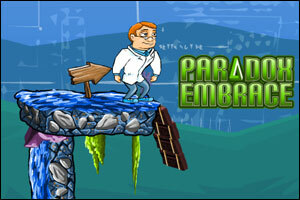 Paradox Embrace is a solid Puzzle Platform game with a nice concept and graphics. The Visitor is the first popular game created by Zeebarf two years ago. “An alien parasite crashes to Earth, help it wreak havoc through its new surroundings.” If you like Point’n’Click adventure games, horror and aliens, this one is for you. Have fun! Note: there are 3 possible endings in the last scene. 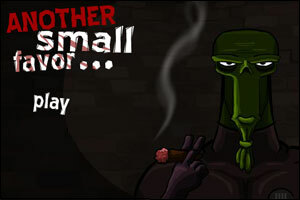 Another Small Favor is the second installment in the Point’n’Click Adventure series Small Favor created by Zeebarf (programming by Caulder Bradford), the author of The Several Journeys of Reemus series! “The story continues after the assassination of Senator Lobe. If you are a fan of Zeebarf, don’t miss this one! The Several Journeys of Reemus, Chapter 3, Know thy Enemy is the latest installment in the Point’n’Click adventure series Journeys of Reemus created by Zeebarf. This new episode looks really great, but it is still in a Beta version. Fans of the series won’t want to miss this one, but be warned: the game is not bug free at the time of writing! A Small Favor is the 5th Point’n’Click Adventure game created by Zeebarf (programming by Caulder Bradford), the author of The Several Journeys of Reemus series! 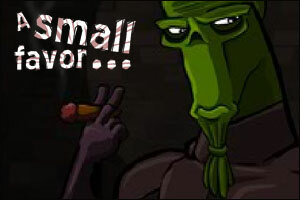 For those interested in Beta testing the next installment of A Small Favor, join Zeebarf’s mailing list on Zeebarf.com. The Several Journeys of Reemus, Chapter 2, The All-Knowing Parasite is the third installment in the Point’n’Click adventure series Journeys of Reemus created by Zeebarf. “I read all your feedback and tried to improve upon all the criticisms. It ended up being twice the workload, which is why I’m about two months late with releasing it. Hopefully you enjoy the extra effort! Expect more animation, bigger puzzles and the ability to finally control Reemus and Liam”, the author said. 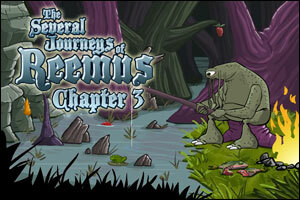 The Several Journeys of Reemus – Chapter 2 video walkthrough! 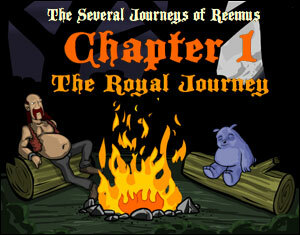 The Several Journeys of Reemus, Chapter 1, The Royal Journey is the sequel to the Prologue of The Several Journeys of Reemus, a new Point’n’Click adventure series created by Zeebarf. Good news, the author plans to release a new chapter each month! 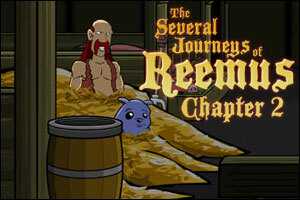 Update: The Several Journeys of Reemus – Chapter 1 video walkthrough! 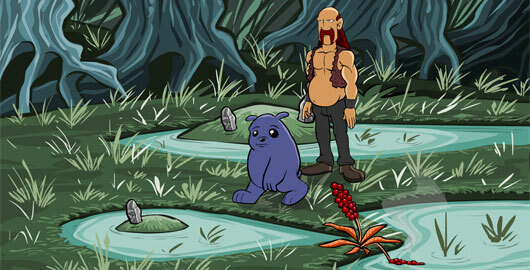 The Several Journeys of Reemus is a new Point’n’Click adventure game created by Zeebarf. Help Reemus, the insect exterminator, and his buddy Liam defeat the Queen of the giant ants. “Well here it is, my second attempt at a point and click game. I decided to try my hand at the fantasy genre. There are two endings and different variants on how to get to the final screen”, said Zeebarf on Newgrounds. Click around to solve the puzzles. Click Reemus for a relevant action. Click Liam for information on the level. 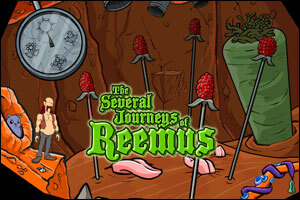 All adventure-game fans will most certainly enjoy the Journeys of Reemus! Update: the Several Journeys of Reemus video walkthrough!